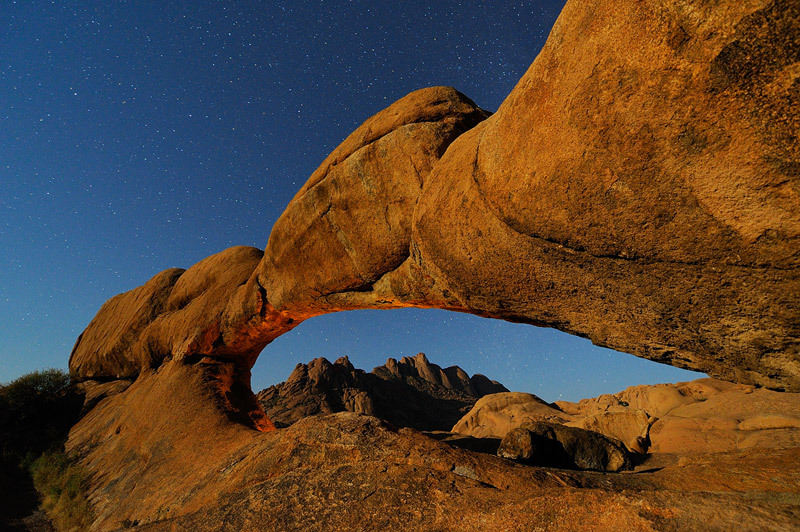 The Spitzkoppe mountains, framed by a natural rock arch. Shot on a moonlit night in Namibia. Daniella used a small flashlight to paint the inside of the arch during the exposure.